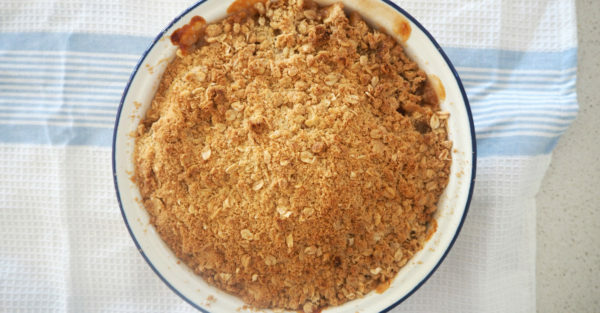 This easy apple and pear crumble recipe makes a great family dessert (or even a special breakfast!) and you can have it ready to enjoy in just one hour. Although I usually try to have an even mixture of apples and pears, you can alter the proportion of fruit to suit your taste – or what you have left in the fridge! Step 1. Preheat your oven to 200ºC fan-forced and lightly grease a 20cm round pie dish. Step 2. 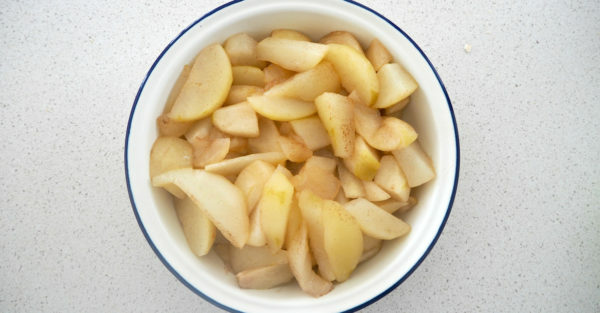 Peel and slice the pears and apples into quarters and place them along with the water, cinnamon and caster sugar and 2 tablespoons of water into a large saucepan with the lid on and cook over a medium heat for 6 – 8 minutes or until the fruit is just tender when tested with a knife. Drain the excess fluid and transfer the cooked fruit to your pie dish. Step 3. 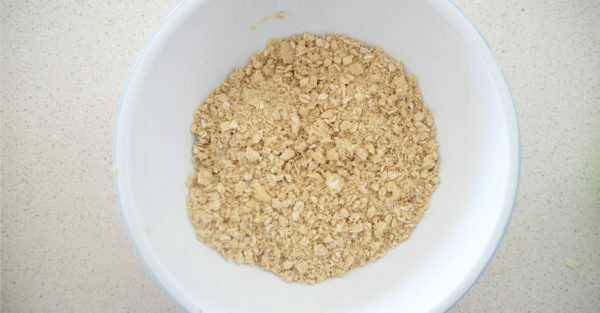 While the apple and pears are cooking you can make the crumble topping by placing all of the crumble ingredients into a medium bowl and rubbing the butter in until the mixture resembles breadcrumbs. Step 4. 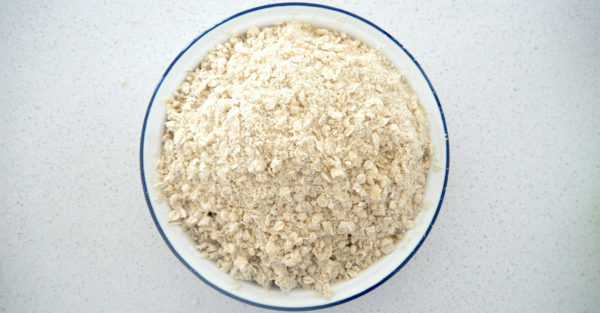 Sprinkle the crumble topping over the top of the cooked fruit and place the baking dish into the oven to cook for 30 – 35 minutes or until the crumble begins to turn a lovely golden brown on top. Step 5. Carefully remove from the oven and serve.